Üsküdar Üniversitesi İnsan ve Toplum Bilimleri Fakültesi Öğretim Görevlisi Prof.Dr. TEMPS-A Mizaç Ölçeği, Snaith-Hamilton Haz Ölçeği ve Zorlantılı Satınalma Ölçeğini dilimize kazandırmıştır. A1. QEEG in affective Disorder: about to be a biomarker, endophenothype, and a predictor of treatment response. Heliyon 2018. 22; 4(8): e00741. A2. S. Kesebir. Epigenetics of Metabolic Syndrome as a Mood Disorder. J Clin Med Res 2018,10: 453-460. A3. S Kesebir, S Metin, MDT Erinc, A Yosmaoglu. Early Menopause Is a Risk Factor for Postmenopausal Depression in Healthy Women, But Are Depressive Episodes a Risk Factor for Early Menopause? Journal of Clinical Gynecology and Obstetrics 2018, 7 (3-4), 69-71. A4. F Gümüş, S Çakır, S Kesebir, EE Michalak, G Murray. Psychometric properties of the Turkish Version of the Brief Quality of Life in Bipolar Disorder (Brief QoL. BD) Scale. Journal of Psychiatric Nursing 2018, 9 (3), 170-174. A5. S Kesebir, A Yosmaoğlu. QEEG in affective disorder: about to be a biomarker, endophenotype and predictor of treatment response. Heliyon 2018, 4(8), e00741. A6. S Kesebir. Epigenetics of Metabolic Syndrome as a Mood Disorder. Journal of clinical medicine research 2018, 10 (6), 453-460. A7. S Kesebir. Reciprocal roots of metabolic syndrome and affective disorder: Temperamental, familial and environmental factors such as climate, geography, migration and changeable life styles. Ment Health 2018, 14, 772-774. A8. S Kesebir, B Erdinç, N Tarhan. Predictors of metabolic syndrome in first manic episode. Asian journal of psychiatry 2017, 25, 179-183. A9. Şentürk Cankorur V, H Demirel, D Yücel, S Cakir, S Kesebir. Cognitive Functions of Bipolar Disorder Patients in Remission on Monotherapy: A Follow-Up Study. Turk Psikiyatri Dergisi 2017, 28 (4): 32-36. A10. S Kesebir. Projection of biphasic state to mitochondria. J Mol Histol Med Physiol 2016, 2 (104), 2. A11. S Kesebir, M Altintas, E Tatlidil Yaylaci, B Erdinc, N Tarhan. Metabolic syndrome in first manic episode: A comparison between patients with or without previous depressive episode. J Metabolic Synd 2016, doi: 5 (201), 2167- 0943.1000. A12. S Nurmedov, Y Ibadi, O Noyan, O Yilmaz, S Kesebir, N Dilbaz, S Kose. Relationship between impulsivity and plasma uric acid levels in patients with substance use disorders. Bulletin of Clinical Psychopharmacology 2016, 26: 46-51. A13. RY Elbay, S Kesebir. Reward Sensitivity and Decision Making in Depressive Episode: Are Unipolar and Bipolar Patients Different. J Depress Anxiety 2016, 2, 2167-1044. A14. E Ozten, S Kesebir, GH Sayar, G Eryilmaz, IG Gul, OK Karamustafalioglu. 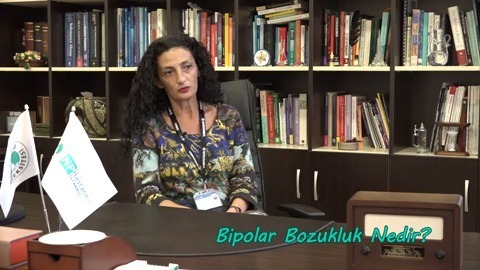 DSM-IV versus DSM-5 diagnosis of bipolar disorder in a Turkish sample. Klinik Psikofarmakoloji Bulteni 2015, 25:42-46. A15. G Eryilmaz, S Kesebir, IG Gül, E Özten, KO Karamustafalioğlu. Dissociative experiences in bipolar disorder II: Are they related to childhood trauma and obsessive-compulsive symptoms? Archives of Clinical Psychiatry, 2015; 42: 38-40. A16. A Bayrak, B Cetin, H Meteris, S Kesebir. Parkinsonism secondary to duloxetine use: a case report. Northern clinics of Istanbul 2015, 2 (3), 243. Relationship Betvveen Clinical İmprovement and Episode Severity in Male Patients. manic episode and subsequent remission? J Affect Disord. 2014;163(2):76-80.
lipid levels in bipolar patients: does temperament explain it? Compr Psychiatry. childhood trauma? Compr Psychiatry. 2014;55(4):870-5.
the categorization of depressive pole. Anadolu Psikiyatri Derg 2013; 14(3): 210-7.
vvith clinical properties, quality of life and treatment compliance. Turk Psikiyatri Derg. Abnormality in first episode mania: is it trait or state? Psychol Res. 2013; 3(10): 563-70.
affective temperament and resilience in depression: a controlled study. J Affect Disord. case report. Turk Psikiyatri Derg. 2012;23(2):141-4.
antidepressants. Turk Psikiyatri Derg. 2012;23(1):71.
comorbidity or a complication? J Affect Disord. 2012;136(3):797-802.
disorder: a comparative, open-label study. Bulletin of Clinical Psychopharmacol. generations. Anadolu Psikiyatri Derg 2011;12(l):l-6. cortisol. Anadolu Psikiyatri Derg 2010;ll(4):293-8. A40. S Akbaş, S Kesebir, Ö Böke, K Karabekiroğlu, G Sarısoy, O Pazvantoğlu, AR Şahin. Özelliklerin İlişkisi", Türk Psikiyatri Dergisi, 16(3), 164-169 (2005). TEMPS-A", Journal of Affective Disorder, 85(1-2), 113-125 (2005). First Degree Relatives", Journal of Affective Disorder, 85(1-2), 127-133 (2005). B1. S Kesebir, B Evkuran. Impact of affective temperament on the age of menopause. Bipolar Disorders 2016, 18, 94. B2. S Kesebir, ET Yaylac, F Akdeniz. Vitamin D deficiency and hyperparathyroidism: a comparison between BD with comorbid ADHD and without. Bipolar Disorders 2016, 18, 80. B3. S Kesebir, Y Küçüksubaş, ET Yaylacı. Metabolic syndrome in sad: winter vs summer. Bipolar Disorders 2016, 18, 86. B4. Kesebir, B Erdinc, M Altntaş. Is there a relation between affective temperament and metabolic syndrome? Bipolar Disorders 2016, 18, 95. B5. S Kesebir, ET Yaylacı, F Akdeniz. Lithium induced hyperparathyroidism in lithium monotherapy: comparison of clinical properties of Bd between before and after lithium monotherapy. Bipolar Disorders 2016, 18, 86. B6. S Kesebir, G Eryılmaz, E Özten, GH Sayar, B Erdinç. Is comorbidity differ between the three groups of mood disorder? Bipolar Disorders, 2016, 18, 124. B7. S Kesebir, M Altntaş, A Ulupınar. relations of anhedonia and impulsivity is different in bipolar patients with nicotine dependence vs without. Bipolar Disorders, 2016, 18, 79. B8. S Kesebir, ET Yaylac, B Erdinç, N Tarhan. Can hypophosphatemia be a risk factor for normocalcemic subtype of lithium induced hyperparathyroidism? Bipolar Disorders, 2016, 18, 124. B9. S Kesebir, G Eryılmaz, E Özten. ASO and CRP levels in BD vs OCD vs BD comorbid OCD. Bipolar Disorders, 2016, 18, 79-80. B10. S Kesebir, G Eryılmaz. ASO and CRP levels in first manic episode. Bipolar Disorders, 2016, 18, 94. B11. SŞ Gürdal, S Kesebir. Are power spectral density of Eeg and cognitive function different in bipolar disorder I and II? Bipolar Disorders, 2015, 17, 112. B12. EK Koca, S Kesebir. Are ERP and cognitive performance related and differentiated in different phase of bipolar disorder? Bipolar Disorder, 2015, 17, 70. B13. S Kesebir, RM Demirer. EEG coherence of drug-free and drug related patients with bipolar disorder. Bipolar Disorders, 2015, 17, 82. B14. RY Elbay, S Kesebir. Are risk related decision making and reward sensitivity different between bipolar and unipolar depression? Bipolar Disorders, 2015, 17, 69-70. B15. YG Küçüksubaş, S Kesebir. Are winter and summer type different in Sad? Bipolar Disorders, 2015, 17, 108. B16. G Yıldırım, S Kesebir. The relation between impulsivity and suicide intent in bipolar patients: the role of childhood trauma. Bipolar Disorders, 2015, 17, 122. B17. S Kesebir. Metabolic syndrome and bipolar disorder: the role of childhood trauma. Bipolar Disorders, 2015, 17, 72-73. VVith Bipolar Disorder. The International Conference of the ISAD, P.08, Berlin, 2014. B22. Kesebir S, Gülşen Küçüksubaşı YB. Are VVinter And Summer Type Different In SAD? The International Conference of the ISAD, P.080, Berlin, 2014. Disorder Type I And II? The International Conference of the ISAD, P.081, Berlin, 2014. Vol. 16, 110, Seoul, 2014. Vol. 16, 111, Seoul, 2014. Disorders, supplement no:l, Vol. 16, 111, Seoul, 2014.
different? 16th Annual Conference of the ISBD, Bipolar Disorders, supplement no:l, Vol. the ISBD, Bipolar Disorders, supplement no:l, Vol. 16, 126, Seoul, 2014. Disorders, supplement no:l, Vol. 15, 57, Miami, 2013.
no:l, Vol. 15, 57, Miami, 2013. Annual Meeting, Nevv Research Abstracts, p22, nrl-48, APA, Philadelphia, 2012. Annual Meeting, Nevv Research Abstracts, p53, nr2-46, APA, Philadelphia, 2012. Conference of the ISBD, Bipolar Disorders, supplement no:l, Vol. 14, 57, İstanbul, 2012.
no: 1, Vol. 14, 89, İstanbul, 2012. Bipolar Disorders, supplement no:l, Vol. 14, 89, İstanbul, 2012. Bipolar Disorders, supplement no:l, Vol. 14, 112, İstanbul, 2012. Conference of the ISAD, Book of Abstracts, 273, London, 2012. Conference of the ISAD, Book of Abstracts, 302, London, 2012. Clinical Psychopharmacology, supplement no:l, Vol. 22, 59, Antalya, 2012. Association Annual Meeting, Nevv Research Abstracts, pl67, nr4-36, APA, Havvaii, 2011.
no:l, Vol. 13, 61, Pittsburgh, 2011. Disorders, supplement no:l, Vol. 13, 60, Pittsburgh, 2011.
controlled study. 15th VVorld Congress of Psychiatry, 2.105, Buenos Aires, 2011. Children and Adolescents vvith ADHD: A Controlled Study. APA, Nevv Orleans, 2010.
caregivers and Treatment Adherence: Comparison of Bipolar and Schizophrenic Patients. disorder. 4th Biennial Conference of the ISBD, Sao Paulo, 2010.
International Congress, Melbourne, Australia and Nevv Zealand Journal of Psychiatry, Vol. Research Abstracts, 117, San Diego, 2007. Research Abstracts, 118, San Diego, 2007. College of Neuropsychopharmacology, Vol. 17, 332, VVien, 2007. Research Abstracts, 28, Atlanta, 2005. Neuropsychopharmacology, Vol. 13, 351, Prague, 2003. Disorders, supplement no:l, Vol. 5, 59, Pittsburgh, 2003.
supplement no:l, Vol. 5, 90, Pittsburgh, 2003. Disorders, supplement no:l, Vol. 5, 90, Pittsburgh, 2003.
to vol. 71, 469, Chicago, 2002.
supplement no:l, Vol. 4, Freiburg, 2002. Disorders, supplement no:l, Vol. 4, Freiburgh, 2002. D1. EE Kilicaslan, G Acar, S Eksioglu, S Kesebir, E Tezcan. 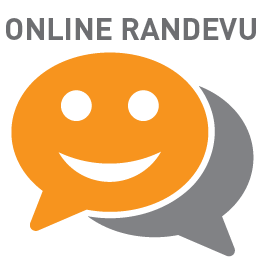 The Effect of Delusion and Hallucination Types on Treatment Response in Schizophrenia and Schizoaffective Disorder. Dusunen Adam: Journal of Psychiatry & Neurological Sciences 2016, 29 (1). D2. M Altıntaş, S Kesebir, L İnanç. Güneydoğu'da Bir İlçe Devlet Hastanesine Başvuran Erken ve Erişkin Yaştaki Gebeliklerin Anksiyete, Depresyon ve Bağlanma Açısından Karşılaştırılması. Yeni Symposium 2016, 1: 54. D3. S Kesebir, H Yildiz, D Gocmen, E Tezcan. Snaith-Hamilton Pleasure Scale: Validity, reliability, pyscometric characteristics in our society. Cukurova Medical Journal 2015, 40 (2), 252-257. D4. L İnanç, M Altıntaş, ÇH Bezgin, S Kesebir. Psikotik hastalarda göz çıkarma davranışı: İki vaka örneği. Klinik Psikiyatri Dergisi 2015, 18 (1), 29-34. D5. Kesebir S, Yüncü Z. Zorlantılı Satınalma Ölçeği: Geçerlik, güvenirlik, toplumumuzda psikometrik özellikleri. Bağımlılık Dergisi, 2014, 15 (3): 142-149.
and Neurological Sciences 2014;27(2): 101-105. Legal Process in Compulsory Hospitalization. Yeni Symposium 2013; 51(l):46-50. Legal Process in Compulsory Hospitalization. Yeni Symposium 2013;51(2): 121-124. Arasındaki Farklılıklar. Psikiyatride Güncel Yaklaşımlar 2013;5(3):290-298. Anormalliği: Çocukluk Çağı Travmalarının İzi. JMOOD 2013;3(3): 100-6. D12. 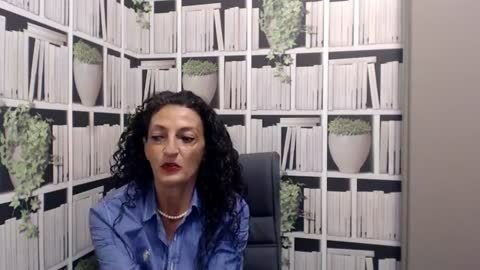 Kesebir S, Akdeniz F, Demir A, Bilici M. Uzun Süreli Sürdürümde Lamotrijin Öncesi ve Sonrası bir karşılaştırma: Kan düzeyinin etkisi. JMOOD 2013;3(2):47-51. Güvenilirlik Çalışması. Yeni Symposium 2012;50(2):99-104. Güvenilirlik Çalışması. Yeni Symposium 2012;50(2):95-8. Gastrointestinal Bozukluklar. Arşiv Kaynak Tarama Dergisi 2012;21(2): 122-33.
iki uçlu farkı: Deksametazon baskılama testi. JMOOD 2012;2(1):6-11. Olgu ve İlgili Literatürün Gözden Geçirilmesi. Yeni Symposium 2011;49(2):113-9. D25. Kesebir S, Özdoğan Kavzoğlu S, Üstündağ MF. Bağlanma ve Psikopatoloji. kimlik duygusu: Karşılaştırmalı bir çalışma. JMOOD 2011;1(3): 103-9. Alana kısa bir bakış", Nöropsikiyatri Forumu, 1(1), 28-35, 2007. Klinik Psikofarmakoloji Bülteni, 16(2), 72-79, 2005.
arasında ilişki var mı? ", Türk Psikiyatri Dergisi, 15(3), 183-190, 2004. Psikotik Bozukluklu bir olgu", Klinik Psikiyatri Dergisi, 6(2), 114-118, 2003.
sağaltımın etkisi", Klinik Psikofarmakoloji Bülteni, 13(2), 88-93, 2003. D39. Kesebir, S. ve Pırıldar, Ş., ''Şizofreni: Östrojen ve Beyin", Klinik Psikiyatri Dergisi, . Sunumu", Bağımlılık Dergisi, 4(1), 41-45, 2003. Olgu", Klinik Psikofarmakoloji Bülteni, 3, 62-66, 2002. Psikiyatri Dergisi, 3, 88-96, 2002.
olgu ve literatür incelemesi", Türk Psikiyatri Dergisi, 12(4), 315-319, 2000. Psikiyatri Kongresi, SB09, İzmir, 2013.
başarısını etkiler mi? Stresin aracı rolü. 48. Ulusal Psikiyatri Kongresi, SB11, İzmir, 2013.
lipid düzeyleri arasındaki ilişki. 48. Ulusal Psikiyatri Kongresi, PB15, İzmir, 2013.
mani. 48. Ulusal Psikiyatri Kongresi, PB37, İzmir, 2013. 16. 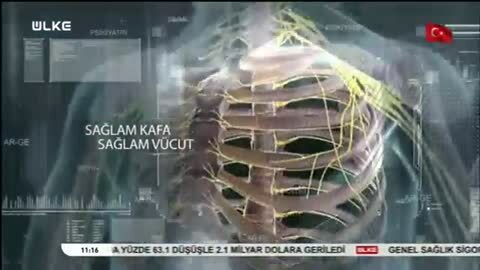 Yıllık Toplantısı ve Klinik Eğitim Sempozyumu, SB4, 2012.
düzeyleri: Kontrollü bir çalışma. 48. Ulusal Psikiyatri Kongresi, SB11, Bursa, 2012.
şiddeti ile ilişkisi. 48. Ulusal Psikiyatri Kongresi, SB12, Bursa, 2012. Psikiyatri Kongresi, SB13, Bursa, 2012. İUB ve şizofrenide birbirinden farklı mıdır? Erkek cinsiyette dönem şiddeti ile ilişkisi. SB14, 48. Ulusal Psikiyatri Kongresi, SB14, Bursa, 2012.
etkilenir mi? 48. Ulusal Psikiyatri Kongresi, PB002, Bursa, 2012. Psikiyatri Kongresi, PB184, Bursa, 2012.
biçimi: Miza ve klinik özelliklerle ilişkisi. 15. Bahar Sempozyumu, SB5, Antalya, 2011.
değişkenler var mıdır? 15. Bahar Sempozyumu, SB2, Antalya, 2011.
kimlik sorunları ile birlikteliği. 47. Ulusal Psikiyatri Kongresi, SB4, Antalya, 2011.
olgusu. 47. Ulusal Psikiyatri Kongresi, 81, Antalya, 2011. E23. Sarı kantaron kullanımı sonrası psikotik bozukluk izlenen bir vaka sunumu. 47. Ulusal Psikiyatri Kongresi, 144, Antalya, 2011. Sempozyumu Özet Kitabı, Antalya 2010.
özellikler ilişkisi. 45. Ulusal Psikiyatri Kongresi, Kongre Özet Kitabı, Ankara, 2009. Tedavi Uyumuna etkisi. 45. Ulusal Psikiyatri Kongresi, Kongre Özet Kitabı, Ankara, 2009. Kongresi, Kongre Özet Kitabı, Ankara, 2009.
karşılaştırma. 44. Ulusal Psikiyatri Kongresi Özet Kitabı, Antalya, 2008. Kongre Özet Kitabı, 290, İstanbul, 2007. Özet Kitabı, 455, İstanbul, 2006. E36. Kesebir, S. ve Şimşek, Y., "Yaygın Anksiyete Bozukluğu ve Anksiyöz Mizaç-II", 41. Ulusal Psikiyatri Kongresi, Kongre Özet Kitabı, 172, Erzurum, 2005. Psikiyatri Kongresi, Kongre Özet Kitabı, 64, Kuşadası, 2004. E38. Kesebir, S., "Şizofrenide Mizaç: Fenomenoloji ve İşlevsellik üzerine etkisi", 40. Ulusal Psikiyatri Kongresi, Kongre Özet Kitabı, 99, Kuşadası, 2004. E39. Kesebir, S. ve Şimşek, Y., "Özkıyım girişimi ve Mizaç ilişkisi: Kortizol etkisi", 40. Ulusal Psikiyatri Kongresi, Kongre Özet Kitabı, 221, Kuşadası, 2004. Lityum Zehirlenmesi", VIII. Bahar Sempozyumu, Özet Kitabı, 146, Antalya, 2004. Psikiyatri Kongresi, Özet Kitabı, 460, Antalya, 2003. Kongresi, Özet Kitabı, 235, Antalya, 2003. E44. Kesebir, S. ve Pırıldar, Ş., "Yeni antipsikotiklerin cinsel işlev üzerine etkisi", VII. Bahar Sempozyumu, Özet Kitabı, 165, Antalya, 2003. Özelliklerinin Bipolar Bozukluğun Fenomenolojisi, Seyri ve Eştanılar üzerine etkisi", VII. Bahar Sempozyumu, Özet Kitabı, 166, Antalya, 2003. Birinci Derece Yakınlarında Pozitif Aile Öyküsünün Affektif Mizaç üzerine etkisi", VII. Bahar Sempozyumu, Özet Kitabı, 167, Antalya, 2003. Kongresi, Özet Kitabı, 59, İstanbul, 2002. VI. Bahar Sempozyumu, Özet Kitabı, 110, Antalya, 2002.
bir olgu sunumu", Bahar Sempozyumları, VI., Özet Kitabı, 111, Antalya, 2002. Olgu" Bahar Sempozyumları, V., Özet Kitabı, 65, Antalya, 2002. Psikiyatri Kongresi, Özet Kitabı, 81, Antalya, 2000. Psikiyatri, Çeviri Özet Kitabı, 177-189, 2005. Psikiyatri, Çeviri Temel Kitabı, 2341-2372, 2006. Kadın Ruh Sağlığı Bilimsel Çalışma Birimi, Kadınların yaşamı ve Kadın Ruh Sağlığı, 2013. Bozukluk Özel Sayısı 2013; 6(2): 58-64. 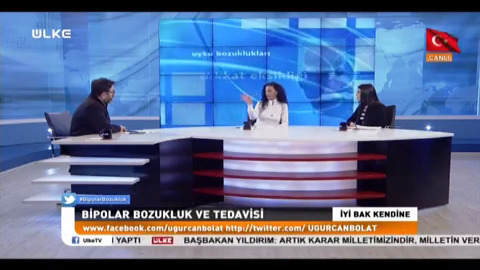 Derneği, Duygudurum Bozuklukları Bilimsel Çalışma Birimi, Bipolar Bozukluk tip II: Tanı ve Tedavi, 2015. Zorunlu Göçün Kişinin Psikolojisini Nasıl Etkiliyor? Prof. Dr. Sermin Kesebir, 1995 yılında Dokuz Eylül Tıp Fakültesini bitirdi. Psikiyatri uzmanlık eğitimini Ege Üniversitesi Psikiyatri Anabilim Dalında tamamladı. Kırıkkale Yüksek İhtisas Hastanesinde mecburi hizmetini yaptıktan sonra, 2008’de Adnan Menderes Üniversitesinde doçent ünvanını aldı. 2009-2014 yılları arasında Erenköy Ruh ve Sinir Hastalıkları Eğitim ve Araştırma Hastanesinde eğitim görevlisi olarak akut psikoz servisinin idaresini yürüttü. 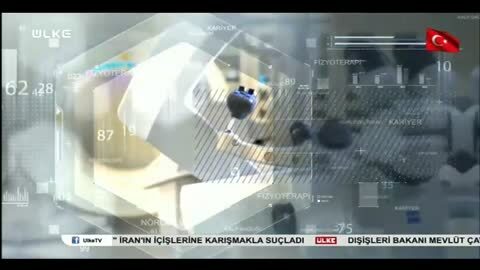 2014 yılından bu yana Üsküdar Üniversitesi, İnsan ve Toplum Bilimleri Fakültesi’nde profesör öğretim üyesi olarak ve NPİSTANBUL Beyin Hastanesi’nde ayaktan tedavi biriminde ve konsultan hekim olarak görevini sürdürmektedir. QEEG in affective Disorder: about to be a biomarker, endophenothype, and a predictor of treatment response. Heliyon 2018. 22; 4(8): e00741. Epigenetics of Metabolic Syndrome as a Mood Disorder. J Clin Med Res 2018,10: 453-460. İlk Atak Manide EEG Anormalliği: Çocukluk Çağı Travmalarının İzi. JMOOD 2013;3(3): 100-6.